LITTLE WHITE SHIRT - Some of you might think this is a small deal, ya but when it comes to something that very basic and so essential in men's fashion? should you go for the best one or like, I have a lot of them but not really good, though? Yes, we're talking about the white shirt! 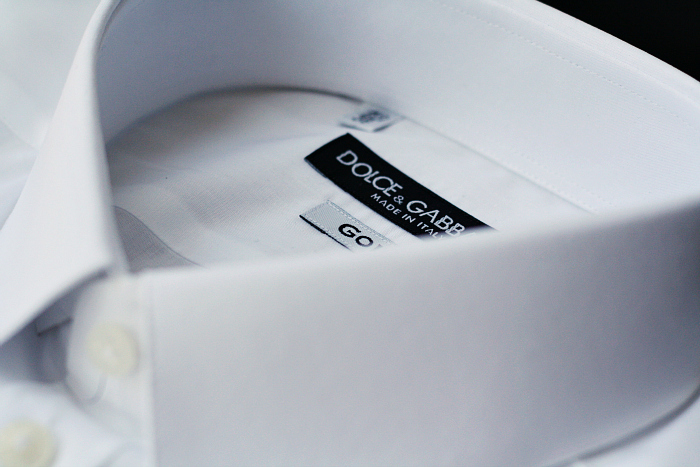 You can mention A to Z well-known labels and of course, they are producing a lot of finest white shirt. It's white, plain, people can not recognize anything whether it's the US $875 Brioni Reale Dress Shirt (well some people may be recognized it, there is some reason behind its value, by visual such as color, shine, rumpled level etc) or even Tommy Hilfiger Texture Oxford Dress Shirt which is cheaper but if we compared to quality, it's totally different, obviously. So now 1 Brioni? 3 Dolce & Gabbana? or 20 Tommy Hilfiger? They are all in white color --". This is what I think, we have to look to our background, but 1 white shirt is catastrophically essential even you are not a shirt person, I am sure that you need it someday. I am sorry but 20 all Tommy's hmmm I don't think so, 1 Brioni too, it is too much. I prefer to take 1 Dolce & Gabbana, 1 Lanvin, 1 Comme des Garcons, 1 Jil Sander white shirt & 3-5 H&M or Uniqlo mix with short sleeve maybe (absolutely). Take Dolce or Lanvin for a special occasion like wedding, or Gala Dinner, you know it will complete your lavish night, all along and H&M for a day or your night casual hang out, with blue jeans and light black blazer, and wine? perfect, but if you do too much night-out, like your occupation could be a club or fine dining PR, get some more :), for this case, think of the possibility you will get wine or lasagna spilled on your shirt and the short sleeve for style stockpile, but when I looked back to myself, I need more white shirts, and I will start looking for more... a little white shirt. Or whatever shirt this season, we need a warmer one... Flannel everyone? That shirt looks great on you!